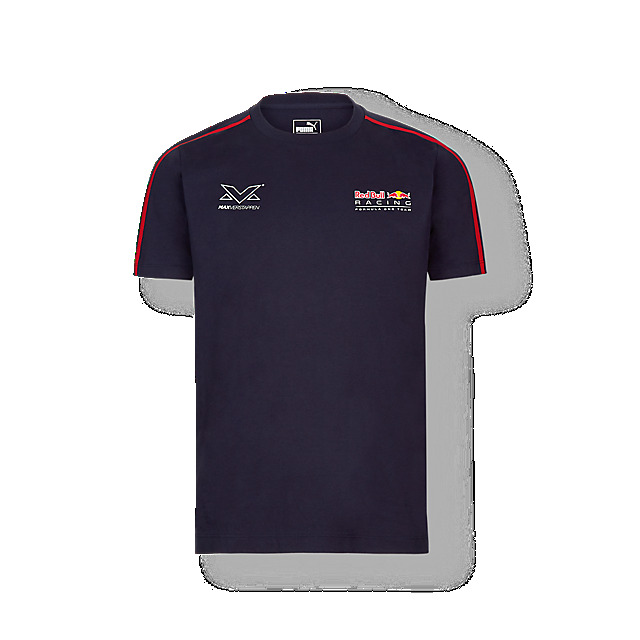 Show your support for Max Verstappen every day with this cool and stylish T-shirt. 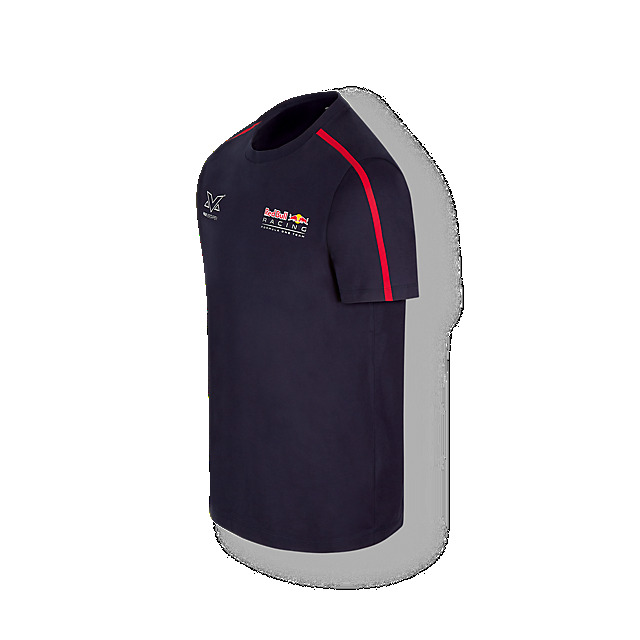 A classic top with a racing twist, it features Max's logo and the Red Bull Racing logo on the front, together with contrast stripes on the shoulders in red. 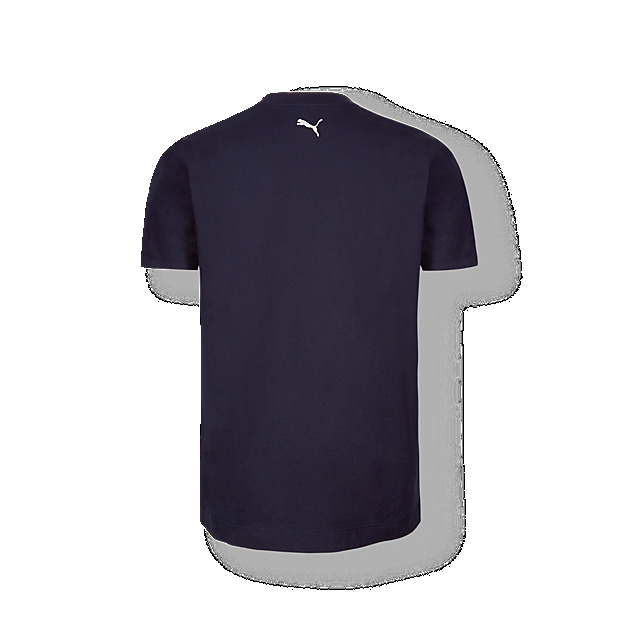 A PUMA logo on the back completes the look.